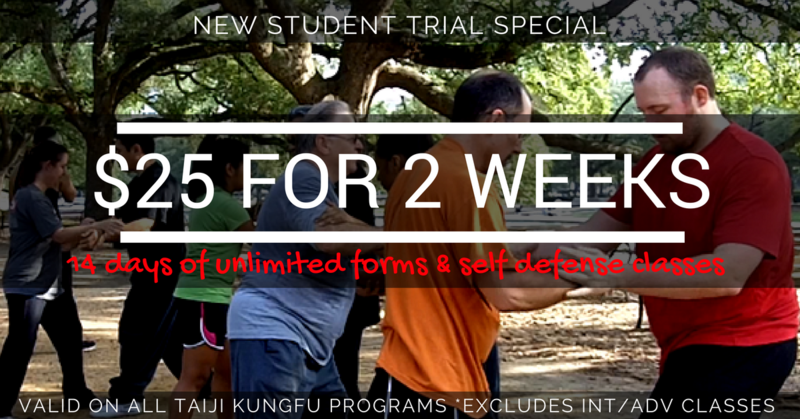 $25 for Two Weeks of unlimited classes *excludes int/adv level classes. You get 14 consecutive days of unlimited classes. That’s up to 2 hours of Tiny Tigers (ages 3-5), 8 hours of Kids Kungfu (ages 6 to teen), or 20 hours of Adult classes. Valid for new students only. One trial offer per person. 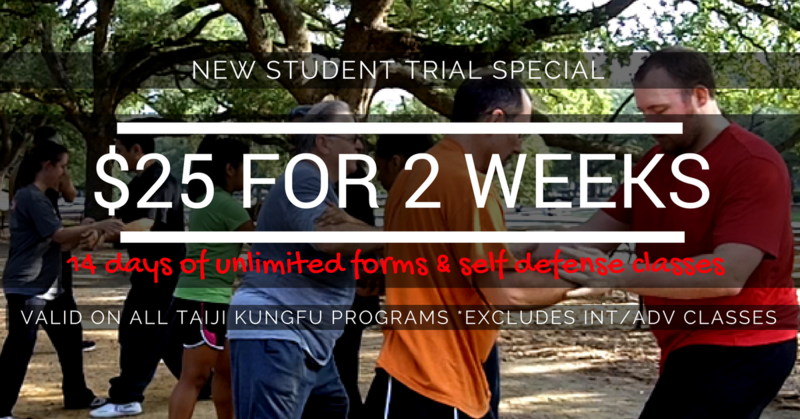 During your trial, if you decide you would like to make Taiji Kungfu Academy your martial arts home, register for a Monthly Membership during your TWO WEEK trial and receive a DISCOUNT on your student registration. This offer is only valid on Monthly Membership registration. Contracts excluded.